We remember Initiation as if it were yesterday; we all experienced that same, slightly terrifying sensation that this was the start of something new. We remember the excited jitters, waiting until the ceremony and ritual were over so we could run to our Big and cry. It’s definitely a rite of passage, one you’ve been working toward since first receiving that embossed paper Bid several months ago. Now the time has come to officially join the sisterhood. We get it. Initiation is a day you’ll always want to remember. 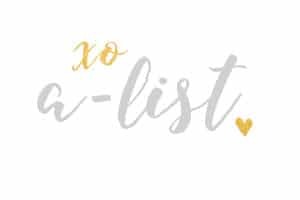 So, we at A-List, being of like mind and like taste, compiled our favorite Initiation Gift and mementos that will help you keep the day you entered the sisterhood right at your fingertips. 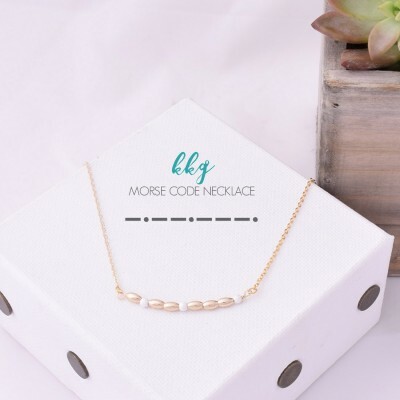 Morse Code Collection—during your New Member education, you learned all that you needed to know about the secret rituals and ceremonies of your soon-to-be sisterhood. What’s one more secret? Our Morse Code Collection is a unique, new, and coded way for you to keep your chapter with you always. Classic Bar With Memorable Twist—Our Bar Necklace has always been a favorite among our customers. Best thing about it? It’s hand-stamped and customizable so when we wanted to create something that captured memories, we went straight to this oldie but goodie. Our Roman Numeral Bar Stamped Necklace can be engraved with any date—how great for Initiation? Bead Bracelets with a Delicate Flair—We quickly became obsessed with the bead-all-over bracelet and necklace trend so we worked long and hard to create our own take on the piece. Our new Sea Glass Bead Bracelets fit right into the mold while maintaining a unique twist. Available in eight beautifully breezy colors, the bracelet is finished with a hint of sparkle and a pendant with your letters subtly stamped on it. It’s Greek, it’s chic, and all around unique. This entry was posted in Greek Jewelry, greek life jewelry, Members Only: A blog for chics and Greeks alike., Sorority Jewelry and tagged Alpha Omicron Pi, Alpha Omicron Pi Jewelry, AOII, Kappa Alpha Theta, Kappa Kappa Gamma, Kappa Kappa Gamma Jewelry, KKG, Sorority Bracelet, sorority jewelry, Sorority Necklace, Theta, Theta Jewelry.